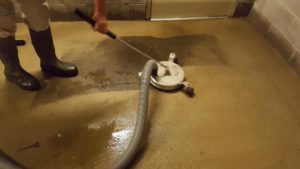 Four Benefits of Using A Commercial Pressure Washer - Pro Wash LLC. Protects Your Family or Customers – Your property is also home to a large number of different contaminants, such as dirt, algae, mold, and mildew. Some of these have the possibility of being life-threatening. 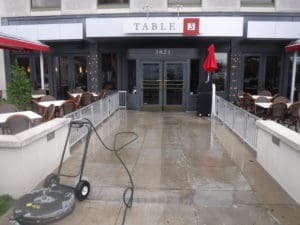 Commercial pressure washing not only your building but also your driveway, walkway/sidewalks, dumpster pads, and patios can help stop these toxins from growing and prevent injuries caused by slipping and falling. Your customers will appreciate a clean, safe path through your property. Increases or Stabilizes Home Value – Pressure washing is one of the most affordable and easiest ways to increase or stabilize your home or commercial properties’ value. According to the National Association of Realtors, a properly pressure washed home can add $10,000-$15,000 to the sale price. It really is a no-brainer to call Pro Wash Nashville for a quick and easy cleaning appointment, when the returns on investment are easy to see when it comes time to sell or rent your property. Preventative Maintenance – Regularly scheduled commercial pressure washing is a great way to extend the life of your building and save money on costly exterior repairs. Keeping your building clean slows down rot, decay and the premature aging of your building. Often extending the life of your siding, driveway, porch and deck. One of our most popular cleaning options is a yearly appointment. This way, you don’t have to worry about keeping up with one of your most important preventative maintenance tasks – we do it for you and keep your commercial property clean and ready to impress your customers and potential customers. Improves Curb Appeal – Your building’s curb appeal is important to your home or business. Pressure washing your building removes stains and mildew that can make it look unattractive, stalling prospective customers from entering your business or making your neighbors think that you don’t care about your home. Our proven processes make cleaning your commercial property quick and easy, and it gives an immediate return as your customers can see that you care about your property.